Why should we use the Children's Catechism? If you've gotten here, you probably already think teaching your kids the catechism is a pretty good idea. But maybe not, it isn't very common. Maybe catechism is a word you thought was only relevant to Roman Catholics. Or maybe it simply seems archaic and too "stuffy" when we want our kids to have "free play" and use their imagination to the fullest while they are little. Or maybe you do Scripture memory with your kids and don't see the need for something extra-Biblical. I'm far from claiming to be an expert on teaching the catechism to my kids but I have already seen how the catechism can really help guide my kids. First, it's an easy way to weave truth into the hearts of our little ones. I'm often surprised at how the catechism questions and answers will pop up in our daily conversations, often in ways that make me want to cry tears of joy or laugh at how the minds of kids work! 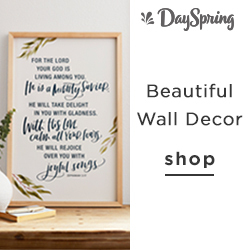 Driving around town and seeing a beautiful sunset over the mountains, my daughter has said, "It's so amazing how God made all things." Not so long ago, we were having a conversation about how staying with a "babysitter" can be hard since all three kids are usually with me. We were naming other people that "watch" them and my five year old said, "But you know who always watches us?" (Not so very long pause) "God." It's not anything crazy, but it's the simple things that our kids can hold on to as truth and that will spark bigger conversations we can have with them. Similarly, it gives them a framework for Scripture. The catechism is basically 150 questions and answers that summarize the whole Bible. It isn't to replace the active Word of God for our kids by any means, but by knowing some of the important questions and answers, it can help them think through stories in a more mature way because they have the doctrine to go with it. 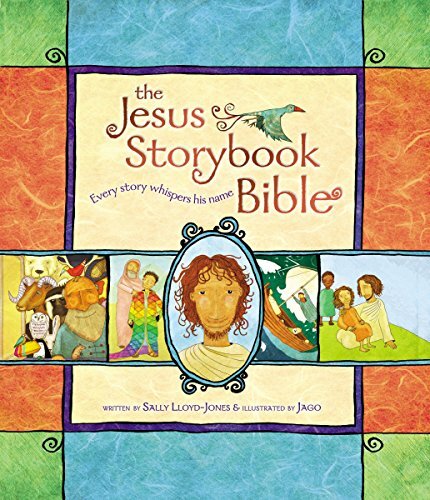 So many families love The Jesus Storybook Bible and for good reason - we love it too. Every story speaks about Jesus! The truths being presented in the catechism allow this same framework to be realized. When our kids know that everyone is born into sin (questions 35-36) and that the only way to be saved is through repenting and believing in Jesus (questions 38, 50, 55) - it's much easier to point them to always needing Jesus even when they are on their "best behavior" in my eyes. When so many “Sunday school stories” can challenge our kids to “Be a Daniel”, which usually leads them to either becoming Pharisees or giving up, we’re looking to teach something different. I'm not striving for constant outward obedience, asking them to be "good" to make my life easier. Our main goal has to be for them to understand what the Bible teaches to be truth - that we are all sinners and are only saved because of what Jesus has already done for us. Lastly, I like the catechism because kids love questions. Two year-olds go through days, weeks, even months of responding to everything with the simple question, "Why?". While I might not have the answer for everything, it's nice to have concise answers for some of the Bible-related questions from our kids. In the same way, as kids are soaking up new experiences, they like being able to give an answer to a question that you ask - it's like a game! What about you? I'd love to hear! What do you like about using a catechism? Have you gotten a copy of the Children's Catechism I mentioned in the last post? I've created a helpful resource page on the site for all things related to the Children's Catechism here - be sure to check it out to get a simple list of all the resources to help you teach your kids!